Below you'll find useful information for those of you planning a stay at the Quality Hotel Grand, Steinkjer. Please don't hesitate to contact us in case you have any further queries. There is public parking available around the hotel for which there is a charge, from 8am – 5pm on weekdays. Please note that parking spaces cannot be reserved. 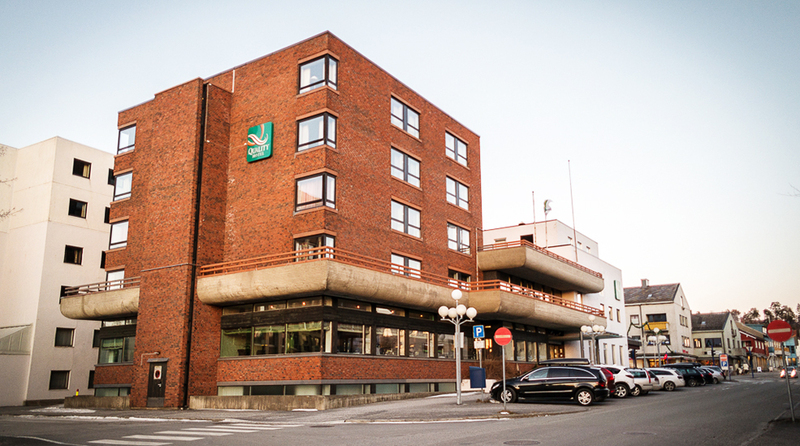 The Quality Hotel Grand, Steinkjer is a cash-free hotel. This provides a safer working environment for our staff as it reduces the risk of theft and burglary. It also means that we have more time to spend on taking care of our guests. For guests it means faster and more secure payments. We accept all major debit and credit cards. Please contact us for more information. We're happy to help you upgrade to a different room category if there are rooms available. Please contact us for more information. For more information please contact us on +47 74 16 47 00 or at q.steinkjer@choice.no.